Approximately every two years, the Thunder Bay Museum raffles off a purchased classic car with proceeds going directly towards helping with the operation of the museum. The Thunder Bay Museum will hold a raffle this spring and summer. It will start from April 15 to July 27. 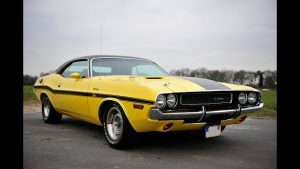 The grand prize is a 1970 Dodge Challenger. We are seeking volunteers to help us sell tickets at the various venues throughout the city. This includes car shows, Canadian Tire stores, Superstore, Intercity Mall, etc. Normally shifts at ticket sales tables are only two hours long. You can pick the shifts that suit your own schedule. Choose however many shifts you want. If you are an outgoing person who enjoys being around people, this will be an ideal volunteer position for you. Such raffles have long been essential to ensuring the Museum’s operational funding. More information can be found on the raffle page on our website or contact Tory at director@thunderbaymuseum.com or call (807)623-0801. To volunteer, simplify fill out the “Click to Volunteer” form below.